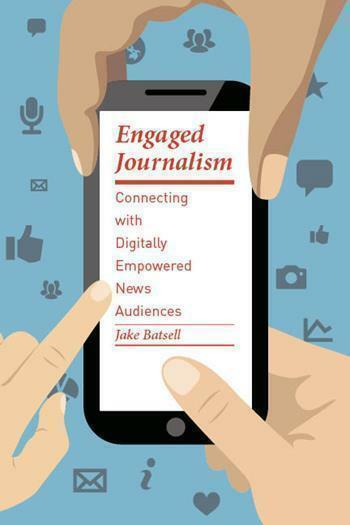 Feb. 26, 2015, 12:08 p.m.
By Jake Batsell Feb. 26, 2015, 12:08 p.m.
Editor’s note: Our friend Jake Batsell has a new book out called Engaged Journalism: Connecting with Digitally Empowered News Audiences. It “explores the changing relationship between news producers and audiences and the methods journalists can use to secure the attention of news consumers.” Lab readers will find it covers some familiar ground: events, audience development, community engagement. Here’s a brief excerpt from one of its chapters. It was a frank, arresting, and painful question to ask in the days following the macabre shooting spree that left 12 people dead and dozens of others injured at a screening of a Batman movie in Colorado on July 20, 2012. Still, the question struck a nerve for hundreds of thousands of readers of CNN’s Belief Blog. The blog aims to intertwine religion with news. 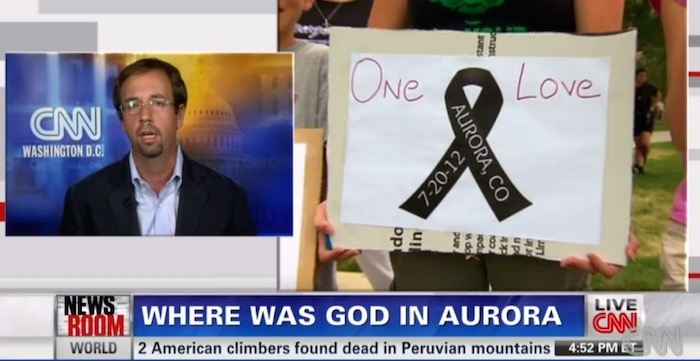 But in the shocking aftermath of Aurora, Dan Gilgoff, religion editor of CNN.com, and his colleagues in Washington, D.C., were struggling with how to bring perspective to such a senseless tragedy. “It was actually a little bit desperate,” Gilgoff said. “The thought occurred to me, ‘Where is God in this tragedy?’ — which is this age-old question in religion. So I just put it out there.” He first posed the question on Twitter, then summarized the emotional array of responses a few hours later in a blog post that itself attracted more than 10,000 comments. Gilgoff’s question triggered a week’s worth of impassioned, generally thoughtful debate as readers argued about the notion of divine sovereignty versus human free will. The episode showed how journalists can create community by actively involving the audience in the stories they cover. An engaged journalist’s role in the 21st century is not only to inform but to bring readers directly into the conversation through digitally powered techniques such as real-time coverage, alternative story forms, crowdsourcing, beat blogging, user-generated content, and comment forums. As the original post gained traction, “it was not only a conversation — it was a unique conversation that CNN provoked and was starting to own,” Gilgoff said. To keep the momentum going, he said, “we wanted to do something that was educationally meaningful that would showcase the conversation, and do it in a way that would show more depth.” So the next natural step, Gilgoff said, was to bring in other voices. He invited a religion scholar, Stephen Prothero, and a Colorado pastor, Rob Brendle, to write columns explaining their take on the where-was-God question. That’s another opportunity in convening a community like this, Gilgoff said: connecting experts and the masses. “It allows you to kind of give the keys to someone else, as opposed to calling them to get a quote,” he said. However, tapping into the power of a digital community requires shedding some of the work habits of a traditional reporter. Today’s journalists can’t just gather facts and quotes and dispense them to the public; they must actively seek out their audience and create opportunities for interaction. “If you don’t hear from your readers, the tendency is to have a very insular notion of your beat,” Gilgoff said. “If you open it up, there are a zillion angles that wouldn’t have otherwise” come to light. In the world of digital journalism, your voice matters more than ever. With the proliferation of reader comments, social media and instantaneous metrics on what our audiences are clicking and how they’re responding, your choices and opinions are shaping our coverage more than ever. Some of our best content from the last year was more about conversations happening around the news than about the news itself. We choose to do certain stories and skip others partly based on whether you’re engaged in those stories or not. Use your power wisely. The comments beneath Gilgoff’s farewell featured the usual smattering of trolls and religious arguments but also a genuine sense of gratitude from readers. “A big THANKS to you and cnn for letting the discussions flow so freely on your site,” one commenter wrote. “I cannot tell you all how interesting and important this blog is to me and i read it every day,” added another. Like a good pastor, rabbi, or imam, Gilgoff had convened a vibrant community, and the congregation kept coming back. 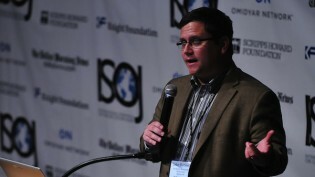 Jake Batsell is an assistant professor of journalism at Southern Methodist University, where he teaches digital journalism and media entrepreneurship. Photo by Adam Foster used under a Creative Commons license. POSTED Feb. 26, 2015, 12:08 p.m.
Batsell, Jake. "On convening a community: An excerpt from Jake Batsell’s new book on engaged journalism." Nieman Journalism Lab. Nieman Foundation for Journalism at Harvard, 26 Feb. 2015. Web. 19 Apr. 2019. Batsell, Jake. 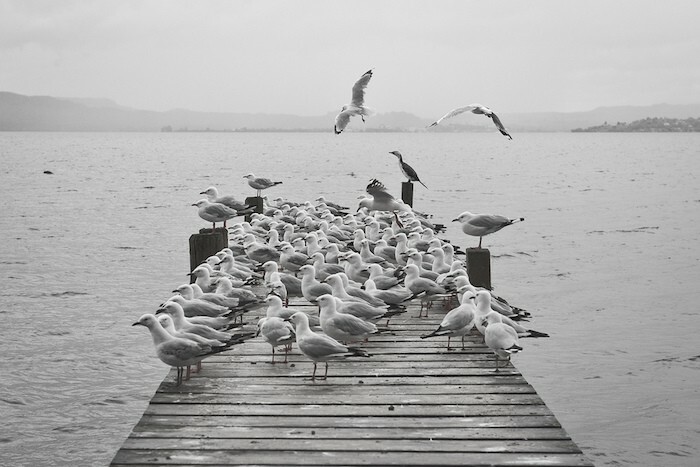 "On convening a community: An excerpt from Jake Batsell’s new book on engaged journalism." Nieman Journalism Lab. Last modified February 26, 2015. Accessed April 19, 2019. https://www.niemanlab.org/2015/02/on-convening-a-community-an-excerpt-from-jake-batsells-new-book-on-engaged-journalism/.